The full festival pass includes general admission access to all festival dates - all stages and performances. OC Transpo service to and from the festival is included with this pass. Plan your trip: octranspo.com. Get the party started with a 4-day weekend! This pass includes general admission access to all stages and performances at LeBreton Flats Park on July 4-7, 2019. OC Transpo service to and from the festival is included with this pass. Plan your trip: octranspo.com. Cap off the festival with a 4-day weekend! This pass includes general admission access to all stages and performances at LeBreton Flats Park on July 11-14, 2019. OC Transpo service to and from the festival is included with this pass. Plan your trip: octranspo.com. General admission access to LeBreton Flats Park on specified date. Includes all stages and all performances. OC Transpo service to and from the festival is included with this pass. Plan your trip: octranspo.com. U19 Festival Wristband includes general admission access to LeBreton Flats Park for all festival dates. Youths aged 10-18 can use this wristband and must be under 19 for the duration of the festival. Anyone born prior to July 15, 2000 is not eligible for this pass. IMPORTANT: Wristbands are non-removable and MUST be worn for the entire duration of the festival. By purchasing this wristband you agree there are NO EXCEPTIONS TO THIS POLICY. OC Transpo service to and from the festival is included with this pass. Plan your trip: octranspo.com. U25 Festival Wristband includes general admission access to LeBreton Flats Park for all festival dates. Youths aged 19-24 can use this wristband and must be under 25 for the duration of the festival. Anyone born prior to July 15, 1994 is not eligible for this pass. IMPORTANT: Wristbands are non-removable and MUST be worn for the entire duration of the festival. By purchasing this wristband you agree there are NO EXCEPTIONS TO THIS POLICY. OC Transpo service to and from the festival is included with this pass. Plan your trip: octranspo.com. 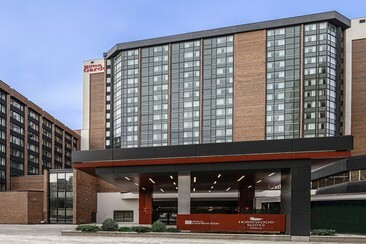 Hilton Garden Inn Ottawa Downtown is located in the heart of Ottawa city centre. ByWard Farmer's Market and the National Gallery of Canada are both within 2 km away. The Canadian Museum of Civilization is 4 minutes' drive away. The hotel offers an indoor heated pool, a modern fitness centre, an on-site restaurant, and a lobby bar. Each guest room at this hotel features a balcony, free Wi-fi access, work desk, 50-inch HDTV with premium channels, and oversized windows that flood the room with sunlight, a mini-refrigerator, microwave, and coffeemaker. SMR Champagne Ottawa is located within 15 minutes' walk from Dow's Lake, 6 minutes' walk from the Little Italy district, boasting shops and restaurants. Ottawa Convention Centre is 1.8 km from the property, while the Rideau Canal is 1.2 km away. Canadian War Museum is 2.2 km from the hotel. The nearest airport is Ottawa Macdonald-Cartier International Airport, 9 km from the property. The bright apartments are modernly furnished and overlook the city. They offer an open-plan seating area, breakfast bar and a fully equipped kitchen. The bathroom enjoys a rainfall showerhead and Aveda amenities. Some units open out on to a balcony or terrace. Towels and bed linens are provided. Homewood Suites By Hilton Ottawa Downtown is located in the Centretown of Ottawa, 500 m from Supreme Court of Canada. The property is set 1.3 km from Parliament Hill and 1.3 km from Peace Tower. The hotel offers a restaurant, an indoor pool, a gym and conference/event space. There's also a 24-hour business centre and convenience store. Guests can enjoy an American breakfast. Guest rooms in the hotel are equipped with free Wi-Fi, flat-screen TV, coffee machine as well as a full kitchen with fridge, microwave, cooktop and dishwasher. The private bathroom is fitted with free toiletries. 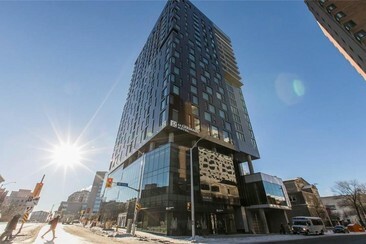 Le Germain Hotel Ottawa is located in Ottawa, 400 m from Ottawa Convention Centre. The property is close to several noted attractions, around 600 m from Rideau Locks and around 600 m from U.S Embassy. 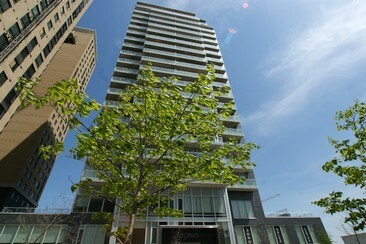 Parliament Hill is 900 m from Le Germain Hotel Ottawa, while Peace Tower is 900 m from the property. Ottawa Macdonald-Cartier International Airport is 12 km away. The hotel has a fitness centre, a bar and on-site dining. All units are equipped with air conditioning, a wardrobe, flat-screen TV, desk, kitchenette equipped with a refrigerator, microwave, electric kettle and private bathroom with hairdryer and complimentary toiletries. Comfortable, private and convenient transfer A one-way private airport transfer from hotels to Ottawa Airport.